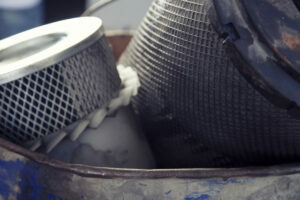 Rotating ServicesProjectsKeeping Alaskan Industry Running, One Project at a Time. Neither snow, nor ice, nor hurricane force wind, nor earthquake stays these workers from the swift completion of their duties in America’s final frontier. On the most rugged terrain, facing the most unique challenges, this Alaskan company has kept the cogs of industry rotating for over 17 years. Based out of Anchorage Alaska, Rotating Equipment LLC has established itself as the industry leader in supplying, servicing, and outfitting industrial machinery across the arctic and beyond. The Rotating Equipment LLC umbrella covers two sister companies, Rotating Services and Industrial Hoists. This expansion has maximized Rotating Services’ ability to provide top quality services, parts, and products for the numerous needs of the Alaskan industries they work with. Rotating Services & Industrial Hoists are companies made up of dedicated Alaskans used to working in the harshest environments known to man. Mountainous terrain, ice covered landscapes, hurricane force winds, and even earthquakes are all in a day’s work for the Rotating Services and Industrial Hoists team. The unique challenges Alaskan industries face create unique opportunities for Rotating Services and Industrial Hoists to solve. One such challenge was on the largest oil platform in Alaska, run by BlueCrest Energy. 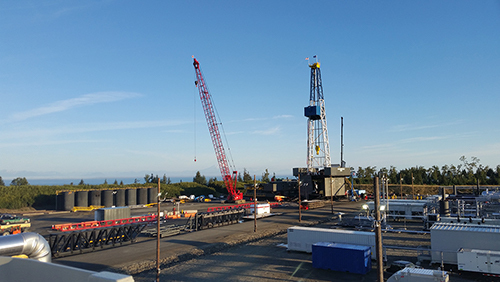 Blue Crest Energy came to Industrial Hoists in need of a solution for their pneumatic man rider that ferried workers from the ground to 275ft into the air to the top of their oil derricks in Homer Alaska. The team at Industrial Hoists was dispatched to Homer by Ingersoll Rand, the manufacturer of the Man Rider that had become inoperable. Industrial Hoists has a strategic partnership with Ingersoll Rand, which means they service and distribute Ingersoll Rand products. This partnership placed Industrial Hoists in the position they thrive in most; problem solving and solution finding. The Industrial Hoists team tore down, rebuilt, and fixed the pneumatic man rider that Blue Crest Energy had break down. After re-installing and testing the man rider, only 4 short days later it was down again. The issue was clear, the sub-zero temperatures in which Blue Crest was operating were tearing down their equipment, and they needed an answer fast. In a swift decision, Industrial Hoists addressed the issue and implemented a plan to get their client up and running again. As strategic partners with Ingersoll Rand, Industrial Hoists has intimate knowledge of their products and their capabilities. They decided a new hydraulic man rider was the best fit for the frigid Alaskan workplace. The solution was the Ingersoll Rand LS2-150 Man Rider. This man rider would stand up to the harsh Alaskan environment while improving the production, efficiency, and safety of Blue Crest Energy’s oil platform. 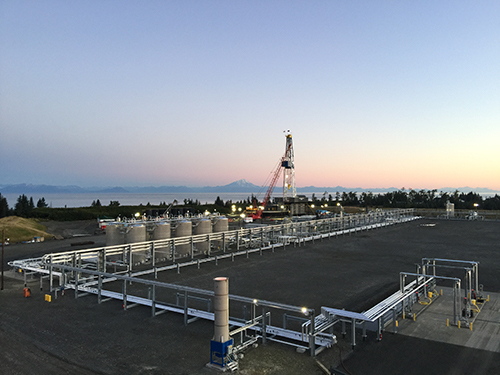 After installation and testing on site in Homer Alaska, Industrial Hoists has maintained and kept a close relationship with Blue Crest Energy. As a company dedicated to top tier service and problem solving, Rotating Services and Industrial Hoists understands the importance of keeping relationships as strong as the Alaskans they serve, and the state they love.